"Woof" Too is and additional digital background paper pack to give you even more creative potential! 18 more background papers to be sure that you have exactly the right paper for the feel of your creation. 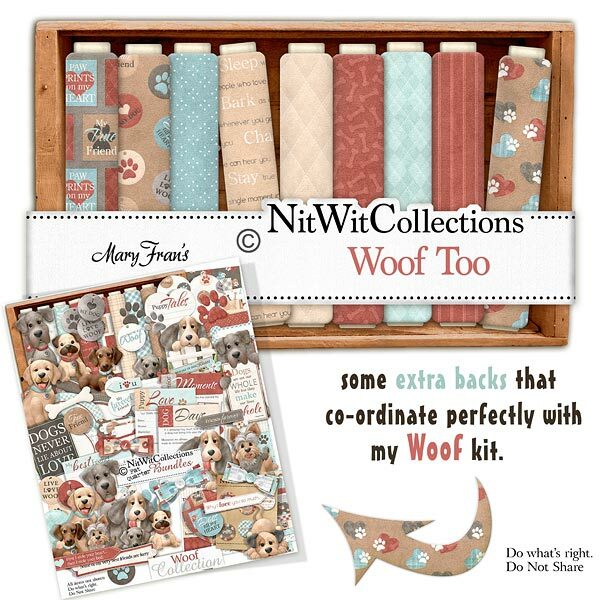 These background papers are NOT included in the FQB "Woof" Collection, so please don't miss out! 18 Digital background papers that coordinate and colour match my FQB "Woof" Collection.